Meet other leading event technologists and learn from experiences at the world's top conferences, trade shows and festivals. Be prepared to hear candid stories, discover unique use cases, and share your own event strategies and challenges. Targeted breakouts that will address your most critical challenges and objectives. 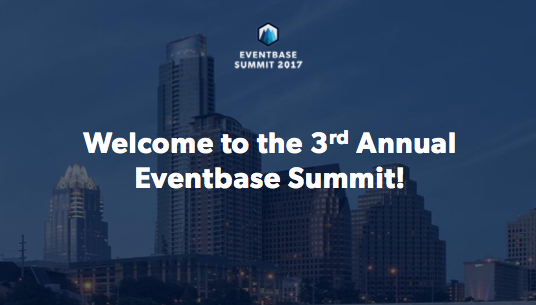 Select from relevant discussion topics, moderated by the Eventbase project managers and product owners that know your event strategies best. Network and mingle with SXSW's event and enterprise communities. This is the definitive event technology gathering for professionals running top-tier or enterprise event strategies for their organizations. Take this exclusive tour of the SXSW Expo Hall at the Austin Convention Center. You’ll get a hands-on view of the event technology use cases at the world's most influential event. Join us at one of Rainey Street’s iconic venues to continue the conversations and build your network. Tap into the latest SXSW GO features to imbibe and connect. Attending SXSW? Don't miss these events.